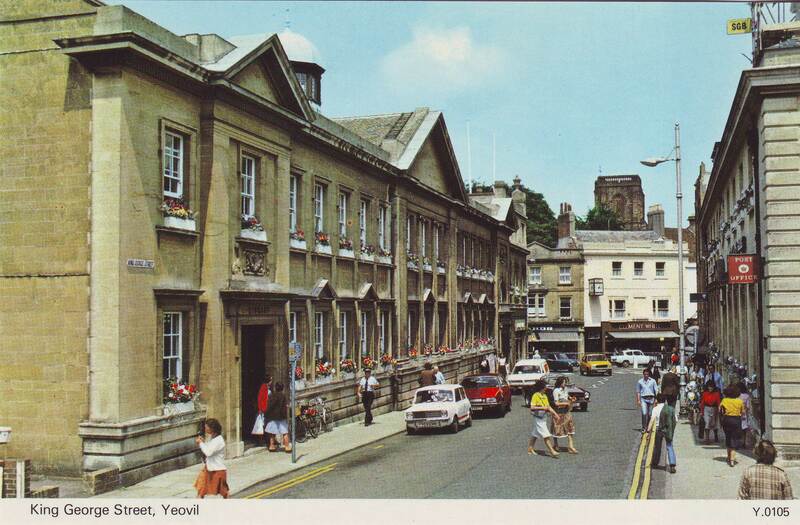 If the photographer had waited a minute, we could have seen the Triumph TR6 but he didn’t and there’s not much else of interest in this postcard from Yeovil. A Mini Clubman, a wedge-shaped Austin/Morris/Princess 18/22, a Marina van, a yellow something (Allegro? ), a Reliant three-wheeler and a Ford Anglia. Shame those ladies crossed the road. Just come to the conclusion that this was a yellow Renault 14, and when I went to post I saw someone had already identified it! So that’s a +1 for the ungainly 14.